alaTest har samlet og analysert 679 anmeldelser av Huawei Mate 10 Lite / Nova 2i / Honor 9i / Maigmang 6. Gjennomsnittlig rangering for dette produktet er 4.6/5, sammenlignet mot en gjennomsnittlig rangering på 4.3/5 for andre Mobiltelefoner. Vi analyserte bruker- og ekspert rangeringer, produktalder og flere faktorer. Sammenligned med andre Mobiltelefoner blir Huawei Mate 10 Lite / Nova 2i / Honor 9i / Maigmang 6 tildelt en total alaScore™ på 92/100 = Utmerket kvalitet. Huawei's Mate 10 Lite gives you a big screen and four (4!) cameras for an affordable price. Huawei’s Mate 10 Lite gives you enough power and a fantastic design, including a 5.9-inch screen framed by small bezels, for less than $400. Its dual cameras on the front and back are more style than substance, and its battery life, while acceptable, could be better. It's also lacking NFC or water resistance. The OnePlus 5T is still the midrange king, but Huawei’s Mate 10 Lite is a great choice if you can get it. 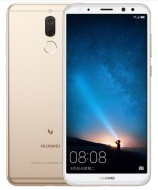 Huawei's Nova 2i is proof that luxuries such as large 18:9 displays and dual-cameras are not the preserve of flagship smartphones. Check out what we thought about this budget Android in our Nova 2i review. Affordable, feature-packed, dual lens cameras front and back, sleek design, large 5.9-inch display. No NFC, not water resistant, has older microUSB port. Das Huawei Mate 10 Lite könnte dank seiner Ausstattung ein echter Geheimtipp sein. Wie sich das Gerät im Alltag und im Labor schlägt, erfahren Sie hier im COMPUTER BILD-Test. Das Huawei Mate 10 Lite im Test ist eigentlich die logischere Wahl als das Pro-Modell - ausreichende Technik, tolles Design, halber Preis!